Carolina Beach Lake was once noted in the Guiness Book of World Records as being the freshwater lake closest to salt water. It is a great place for a picnic and the site of Pleasure Island’s “Light Up The Lake” celebration during the holiday season. This 11-acre lake offers 4 gazebos, restrooms, sheltered picnic area and playground equipment. In the heart of Carolina Beach you'll find Lake Park. This 11 acre fresh water lake is located just two short blocks from the ocean and 1 1/4 miles south of Snow's Cut Bridge and is bordered by S Lake Park Blvd, Atlantis Ave. 4th Street and Columbia Ave. A walking path circles the lake and is the perfect place to take a stroll or for the little ones to learn to ride their bikes. While enjoying the walking path keep an eye out for the several varieties of ducks and geese who call Carolina Beach Lake home. On the north side of the lake is a playground, picnic shelter, gazebo, and public rest rooms. A small parking lot is adjacent to the playground, but can fill up quickly on busy weekends and during events. Carolina Beach Lake is the venue for many popular Pleasure Island Events. During the summer season enjoy the weekly Farmers Market here on Saturday mornings and Free Outdoor Movies on Sunday evenings. 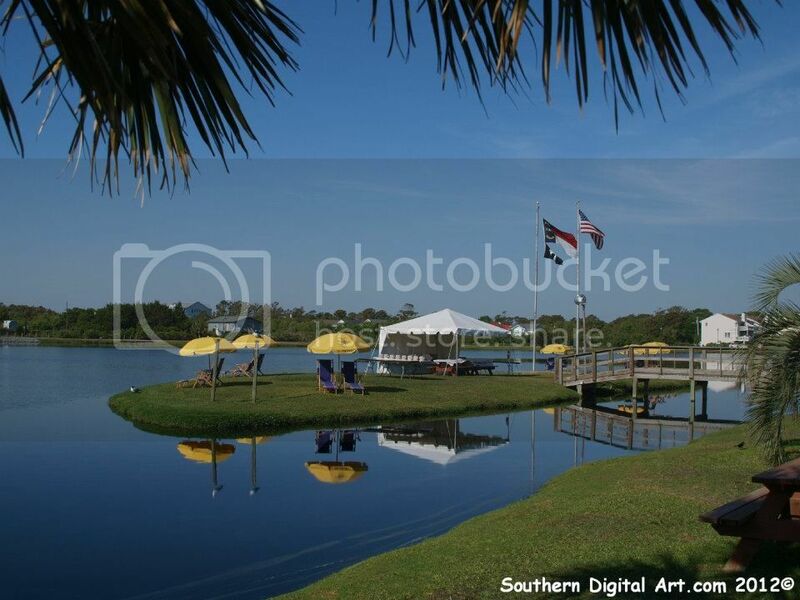 The lake is also host to the extremely popular Pleasure Island Chowder Cookoff in April. For an adventure challenge your family or friends to a race across the lake on a kayak, or take your time exploring the natural wonders and beauty in a family friendly pedal boat. For more information on renting a kayak or paddle boat visit Wheel Fun Rentals!